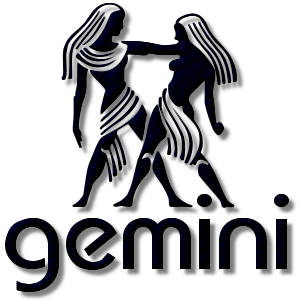 Add a Gemini The Twins Zodiac stampette to your Facebook and Twitter profile images and show your star sign. In Greek mythology Gemini represents the twin brothers of Castor and Pollux the sons of Leda, with Tyndareus and Zeus as their respective fathers. Having different fathers meant Pollux was immortal though Castor remained a mere mortal. Upon Castor's death Pollux asked Zeus to share his own immortality with his twin to keep them together, and as a result they were transformed into the Gemini constellation we see today.